If camping beneath the Maine sky is your dream vacation, Greater Portland offers some great choices. Campgrounds in Scarborough, just a few miles south of Portland, await you. Plant your pillow on a lakeside campground or close to Scarborough’s beautiful beaches. For an oceanfront campsite, you’ll want to check out Freeport, north of Portland. Another option is camping near the unique and renowned Desert of Maine. 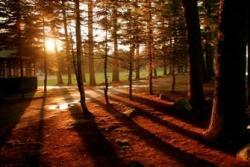 Bradbury Mountain State Park, situated halfway between Portland and Lewiston, is another great option for camping. 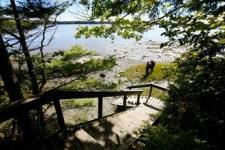 Take a hike up the glacier-formed mountain for gorgeous vistas of Casco Bay. When you’re not resting near a cozy fire, take your pick of activities like fishing, hiking or kayaking in Maine’s stunning bays, lakes and rivers. Many campgrounds near Portland also offer live entertainment, free beach shuttles, playgrounds and swimming pools. Kids can make a lifetime of memories at one of the many children’s camps in Maine’s Greater Portland & Casco Bay region. Most programs in the area promote intellectual emotional and physical growth, and encourage children to form friendships with fellow campers and counselors from around the globe. Special programs focus on the arts including a “film academy,” where they can unleash their inner Spielberg, drama and music instruction, where a career in acting, singing, or composition might be sparked, and one dedicated to the life and work of DaVinci. There are summer day-camps available as well as extended camping adventures for kids of all ages. Visit Maine Summer Camps and Maine Camp Experience for more on these amazing camps for kids. 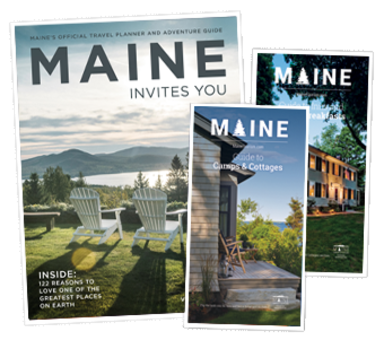 Start planning your camping adventure in Maine’s Greater Portland and Casco Bay region today!